If you are looking for an ideal landscape area to have a picnic, play games with your kids, or rough and tumble with the family dog, a lawn may be a good choice. When properly cared for, lawns have many environmental benefits: They clean and cool the air, filter storm water, produce oxygen, and require much less water than you might think—lawns are commonly overwatered by as much as five-times! As a rule of thumb, unless it’s the middle of summer and the lawn is in full sun all day long, a healthy lawn only needs to be watered one day per week if it’s not raining. If it needs more, chances are your lawn needs some help. Common environmental problems with lawns occur when people overwater, use chemical pesticides and fertilizers, do not compost clippings, mow too often, and have a larger lawn than they actually use. This article focuses on the essential things you need to know in order to successfully grow healthy lawn grass in an environmentally responsible, Marin-friendly manner. But first, ask yourself this question: Do you really need a traditional lawn at all? If your answer is no, then please consider planting a no-mow meadow of native grasses, low-water groundcover, or other drought-adapted plants. Even when perfectly maintained, lawns require more water than any other landscape plant and are best reserved for landscape areas where they will be actively used rather than just a pretty green surface to look at. If you have a lawn area you want to convert into a low-water using garden, check out this video to learn how to sheet mulch. Then, browse our conservation coupons to find discounts on mulch and other supplies from local retailers. Incorporate a generous amount of organic compost into the soil (1-2 cubic yards per 100 square feet). Select a drought-tolerant grass species. Apply enough organic fertilizer to maintain plant health but not to stimulate fast growth. Irrigate with a high-efficiency irrigation system, and adjust watering times frequently to match seasonal plant demand. Never water between the hours of 9 a.m. and 7 p.m., the time when 97% of evapotranspiration occurs. Mow infrequently, use a manual or electric mower, leave the grass blades 2-4 inches tall, and compost the clippings. Use graywater, rainwater, or recycled water whenever it is available. By following these basic steps, you will be training your lawn grass to develop a deep and extensive root system—the key to growing a drought-tolerant lawn with the most environmental benefits and the fewest problems. 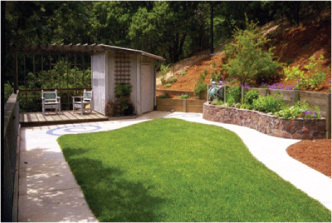 MMWD offers a number of free services to help you make your landscape Marin-friendly. Visit our Conservation page today to schedule a free water use survey through our Conservation Assistance Program (CAP), sign up for a Marin Master Gardener Garden Walk, and take advantage of great rebate offers for smart irrigation controllers. And, be sure to sign up for MMWD’s Weekly Watering Schedule to get updated watering information for your climate zone delivered to your email box each week. We turned on our recycled water plant earlier in the spring than usual to reduce demand on our potable water supply. Reservoir Levels: As of October 27, reservoir storage is 50,366 acre-feet,* or 63 percent of capacity. The average for this date is 51,728 acre-feet, or 65 percent of capacity. Total capacity is 79,566 acre-feet. Rainfall: Rainfall this fiscal year to date (July 1-October 27) is 1.16 inches. Average for the same period is 3.12 inches. Water Use: Water use for the week ending October 27 averaged 26.5 million gallons per day, compared to 20.5 million gallons per day for the same week last year. Supply Source: Last week we averaged 21.1 million gallons per day from our reservoirs and 5.4 million gallons per day from the Russian River. Creek Releases: During the month of September 2013 MMWD released 266 million gallons, or a total of 817 acre-feet, into Lagunitas and Walker creeks in west Marin. We release water throughout the year to maintain adequate flows for the fishery per our agreements with the State of California. Water use and reservoir figures can be found on our homepage. Marin Center turned 40 this year, but being “middle-aged” hasn’t stopped the arts and events venue from keeping up with the latest water-efficiency trends and technologies. The Marin County Fairgrounds are irrigated with recycled water from MMWD’s Las Gallinas Valley Recycling Plant, saving potable water. Three smart controllers monitor current weather conditions and automatically adjust the irrigation schedule so the landscaping gets just what it needs. In addition, staff keep the irrigation system in good working order and employ water-wise landscaping techniques such as sheet mulching. Marin Center is saving water indoors, too. The restrooms at Marin Veterans’ Memorial Auditorium and Lagoon Park use recycled water for toilet flushing. And Marin Center has even gone water-free with 23 waterless urinals, saving up to 920,000 gallons per year. The San Francisco Bay Area has been awarded $30,093,592 in Proposition 84 funds to carry out projects to improve Bay Area water resources. This award complements $842,556 in planning funds from Proposition 84 to update the Bay Area Integrated Regional Water Management Plan. Proposition 84, passed by voters in 2006, provides $5.4 billion for habitat restoration, water resources improvements and water quality benefits. Of this total, integrated regional water management (IRWM) programs in California will receive $1.0 billion in funding, of which $138 million is dedicated to the San Francisco Bay Area. The $30.9 million in implementation and planning funding announced this past week is the first allocation of the $138 million of Proposition 84 IRWM funds for the Bay Area. The Bay Area IRWM Coordinating Committee has received $842,556 to revise the Bay Area Integrated Regional Water Management Plan. The IRWM Plan was adopted in 2006 by Bay Area counties, cities, water and sanitation districts, flood control agencies and non-profit agencies to define priorities for regional water management projects and guide state grant funding decisions. The plan update, expected to be completed in 2013, will incorporate the latest information on climate change impacts, and will include a compilation of best practices to adapt to rising sea levels and changes in precipitation. 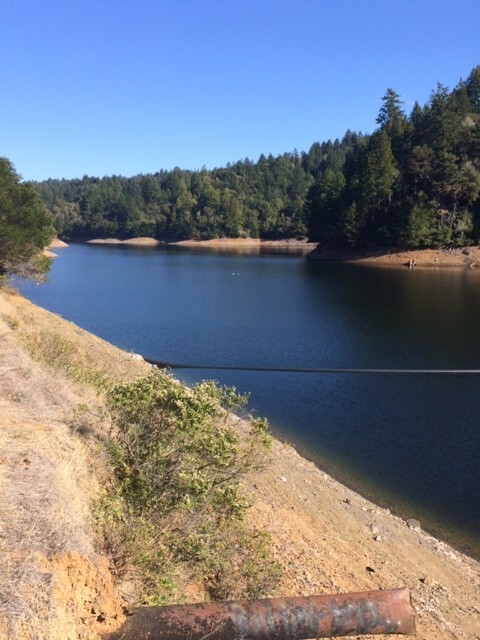 The Marin Municipal Water District will be managing the plan update, on behalf of the Coordinating Committee. Also allocated from the Bay Area Proposition 84 funds is $1,775,000 to pay for two other Bay Area projects in eastern Contra Costa County—the Pittsburgh Recycled Water Pipeline and ecosystem restoration projects that are part of the County’s Habitat Conservation Program. These funds, as well as $449,843 to update the East Contra Costa County plan, will be managed by the Contra Costa Water District. The total amount allocated to date from the $138 million in Proposition 84 IRWM for Bay Area projects is $33,160,991. The North Bay has been awarded more than $7 million in integrated regional water management (IRWM) funds under State Proposition 84. This funding is a part of the overall $33.2 million that has been allocated to Bay Area agencies from the $138 million available for the Bay Area in State Proposition 84. Proposition 84, passed by voters in 2006, provides $5.4 billion for habitat restoration, water resources improvements and water quality benefits. Of this total, integrated regional water management (IRWM) programs in California will receive $1 billion in funding, of which $138 million is dedicated to the San Francisco Bay Area. The $33.2 million in implementation and planning funding announced today is the first allocation of the $138 million of Proposition 84 IRWM funds for the Bay Area. “North Bay water resources managers have been collaborating for many years to define the top priorities for ecosystem restoration and water resources improvements,” noted John C. (Jack) Gibson, President of the Board of Directors of the Marin Municipal Water District Board and Chairman of the North Bay Watershed Association, a group of 16 regional and local public agencies. “We are very pleased that North Bay partners have been successful in securing these grant funds, which will provide critical support for priority projects,” Gibson added. Regional projects on flood plain mapping, steelhead trout monitoring and watershed partnerships that will include North Bay organizations. As part of the funding announced today, $500,000 in Prop. 84 funds will go to the Marin Municipal Water District (MMWD), to assist in financing an expansion of MMWD’s recycled water system. The addition to the system includes a new pipeline to bring water to the Peacock Gap Golf Course in San Rafael and to other customers along the way. The total cost of the system expansion is estimated to be $10.1 million, with funding to be provided from various sources. MMWD’s recycled water system, operating since 1981, serves more than 350 customers in San Rafael, including parks and other large landscapes, office buildings, car washes, commercial laundries and many others. An additional $862,500 in Prop. 84 funds will go to MMWD to provide matching funds for water conservation program rebates. These funds will offset some of the cost of high-efficiency toilets and washing machines, as well as weather-based irrigation controllers and water efficient landscaping. The Bay Area received $842,556 to revise the Bay Area Integrated Regional Water Management Plan. The IRWM Plan was adopted in 2006 by Bay Area counties, cities, water and sanitation districts, flood control agencies and non-profit agencies to define priorities for regional water management projects and guide state grant funding decisions. The plan update, expected to be completed in 2013, will incorporate the latest information on climate change impacts and will include a compilation of best practices to adapt to rising sea levels and changes in precipitation. The Marin Municipal Water District will be managing the plan update, on behalf of the Coordinating Committee. Providing recycled water to MMWD customers—350 and counting in northern San Rafael—requires a separate water treatment and distribution system to ensure there are no cross-connections with potable water—that is, recycled water doesn’t mix with drinking water. This separate distribution system is made up of 25 miles of pipeline, three storage tanks, four pump stations and one treatment plant. Although it is an expensive system to build and maintain, it helps reduce demand on potable water. The majority of our recycled water customers use the water for irrigation, and about 100 customers have dual-plumbing that allows them to use the water for other uses such as toilet flushing, washing laundry and cars, and air conditioning. Each November and December MMWD’s Reclamation Specialists Pat Feht and Rich Caboara inspect the approximately 100 dual-plumbed facilities to make sure that each is functioning properly and labeled correctly. (See photos from this year’s inspections here.) The labeling requirements for recycled water are very stringent. 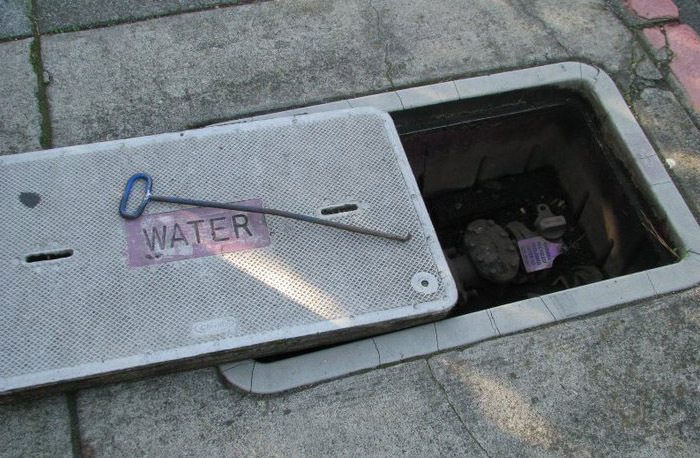 For example, all meters and meter boxes must be painted purple; all pipes delivering recycled water must be identified with purple Mylar tape printed with the words “Caution: Reclaimed Water. Do Not Drink”; and all valve handles must have intact breakaway seals. Special signage is also required. Any facility using recycled water must post signs at the business entrance and at the location where the recycled water is used, such as within a bathroom where the toilets are flushed with recycled water or a laundry room where recycled water is used. In addition to conducting these annual inspections, Pat and Rich take water samples weekly throughout the year to assure that our recycled water meets strict water quality criteria. Our recycled water is treated three times before distribution and is crystal clear, odorless and free of harmful bacteria. It is similar in quality to swimming pool water. MMWD has been at the forefront of providing recycled water and creating and supporting legislation to promote its use. We continue to explore non-agricultural uses for recycled water, just as we continue to promote conservation of potable water. The North Bay Watershed Association’s 2010 Conference, “Greening Our Water Infrastructure,” is just around the corner on Friday, April 9, 2010 at the Sheraton Petaluma from 8:30 a.m. to 4:15 p.m. Don’t delay—register today!